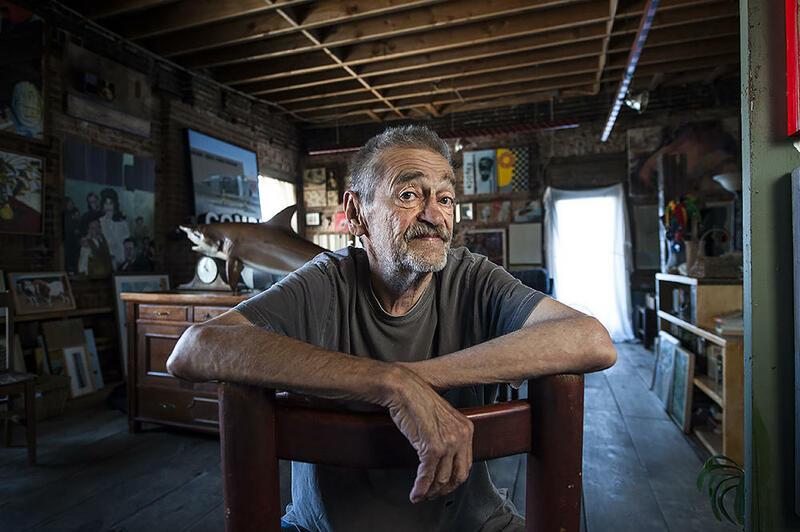 Tom Deatherage, owner of The Late Show Gallery, has a distinctive style. Just a few blocks away from The Late Show, artist Colby Smith was preparing for his fifth solo exhibition at the gallery when Deatherage stopped by recently for a tour. Smith, a resident artist at Studios Inc, says Deatherage keeps him on track, especially with a new body of work. 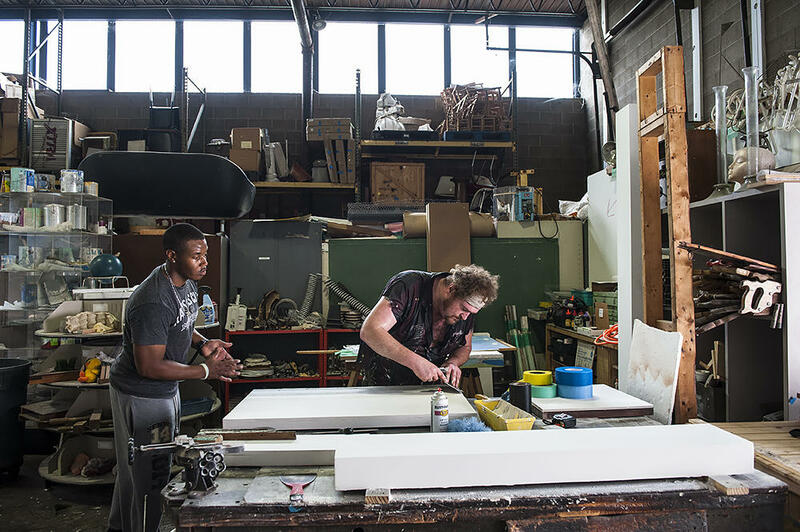 Apprentice Kendall Wallace assists artist Colby Smith in a studio filled with scavenged material rescued from the trash. Smith’s minimalist landscapes for The Late Show Gallery include fragments of architectural salvage, and his studio space was packed floor to ceiling with scavenged items. Deatherage takes a look at Smith's new painting. Deatherage says he takes pride in giving young artists their first walls. Often they stay with him once they are established. 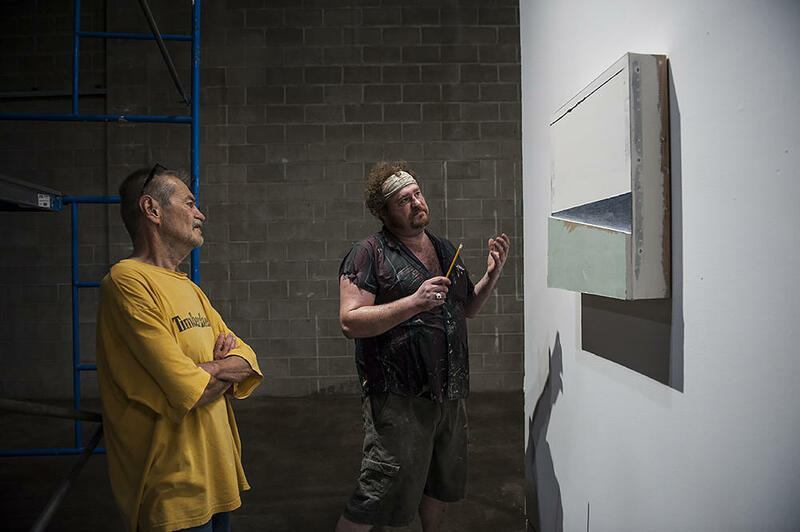 Painter and ceramic artist Travis Pratt met Deatherage when he was a junior at the Kansas City Art Institute. 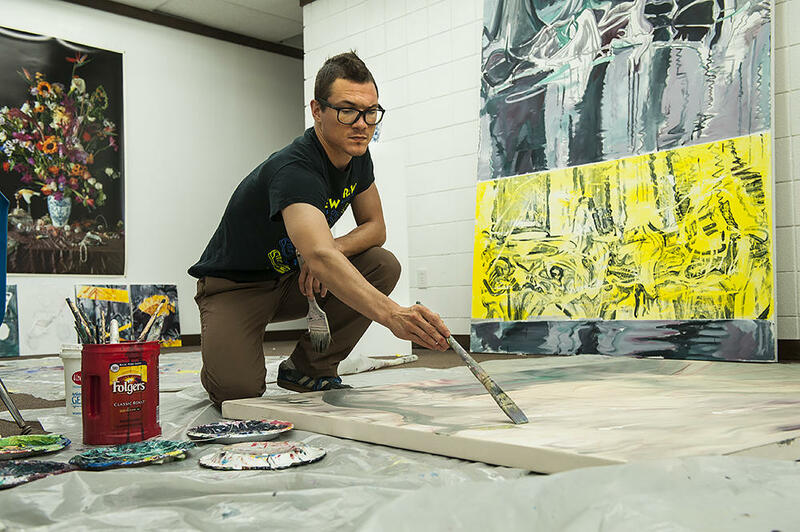 Painter and ceramic artist Travis Pratt met Deatherage ten years ago when he was a junior at the Kansas City Art Institute. Pratt says interest from a dealer, such as Deatherage, encouraged him early in his career. “You could just go give him a piece and it’s engaging with an audience right away,” says Pratt. And if he’s excited about it you feel that little ping of recognition or you know, that complement that that he wants to have it on the wall. As a young artist it was really important." For Deatherage, working closely with emerging artists gives him a sense of satisfaction. Rough corrugated metal walls greet Smith as he arrives with a painting. Deatherage admits he has a gritty style that sets him apart from other art dealers in town. But occasionally Deatherage, as he admits, can rub people the wrong way. Colby Smith says the value Deatherage brings to artists outweighs his eccentricities. Deatherage and Smith hang the show together. Deatherage has earned respect not just from artists, Pratt says, but also from the collectors who buy from him. “He’s got a lot of supporters that have come around year after year and believe in what he shows and believe in what he’s doing, and they see the Late Show as vital to their experience of art in Kansas City,” Pratt says. At 73, Deatherage says recent health issues have slowed him down, but he’s not ready to quit anytime soon. 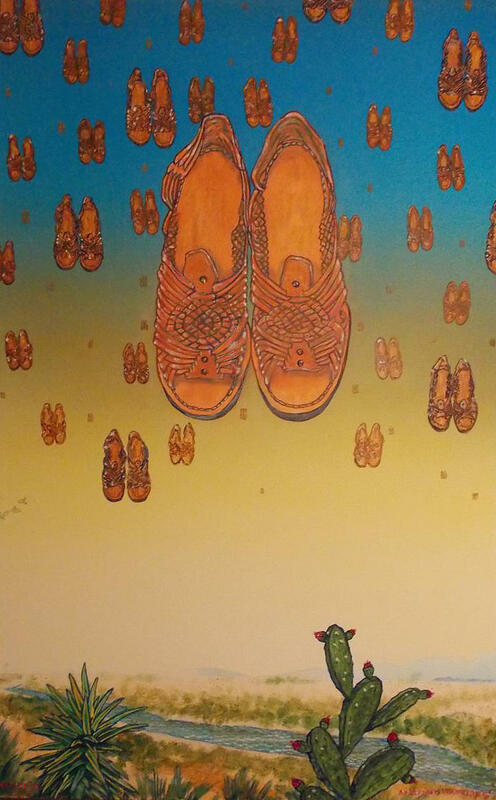 Navah, an exhibition of Colby Smith’s paintings, opens Sept. 2 and runs through Oct. 1, at The Late Show Gallery, 1600 Cherry, Kansas City, Missouri. 816-516-6749. Mid-America Arts Alliance CEO Mary Kennedy has announced her resignation, effective Oct. 1. Kennedy is the third CEO of the regional nonprofit arts organization, having served in that role since 2000. 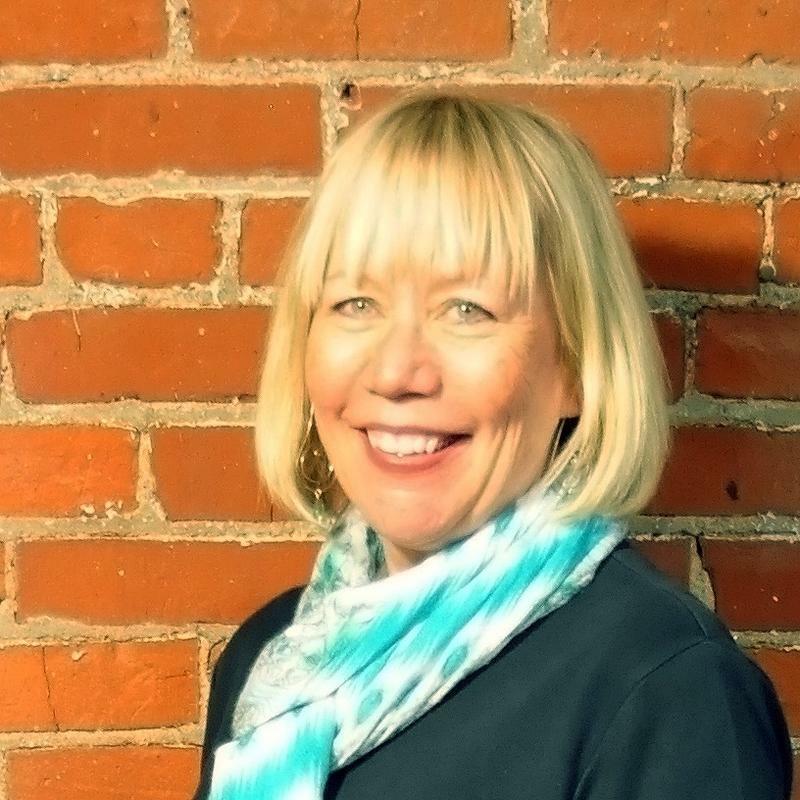 Her connection to M-AAA dates back to 1989, when she joined the organization as curator of exhibitions for ExhibitsUSA, the national traveling exhibition program. "It has been an honor to work for an organization whose mission so closely emulates my own: more art for more people," Kennedy said in a news release. A debate has been raging in the Crossroads and West Bottoms over a liquor licensing ordinance passed by the Kansas City council in April. On Thursday, the council unanimously approved a compromise they hope will keep businesses and residents happy. 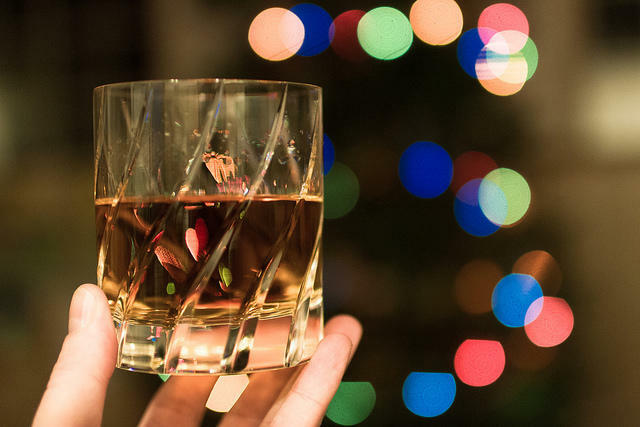 The ordinance limited the influence some property owners had over approval of liquor licenses. It had the support of many small businesses, who said it gave them more of a voice in the process.